With unending love for those around her, Barbara Rothley was a blessing to everyone she met. She had a smile that could lighten up even the darkest of days, and her warm and genuine personality drew others near with ease. Barb’s devotion to her family was unmatched, and there was nothing she treasured more than witnessing her family tree blossom to include the grandchildren and great-grandchildren she adored more than life itself. She devoted her days to brightening the lives of others and helping in any way she could. Deeply loved, Barb will be forever missed. Life during the 1930s was extraordinarily difficult as the Great Depression covered our nation and much of the world like a wet blanket throughout the entire decade and beyond. With fading jobs and a soaring unemployment rate, there were few Americans who didn’t feel the strain of the time. Despite the circumstances around them, Floyd and Gudren (Sorensen) Whittemore were able to focus on an exciting time in their own lives as they were pleased to announce the birth of the baby girl they named Barbara Jean on October 10, 1934, in Grand Rapids, Michigan. 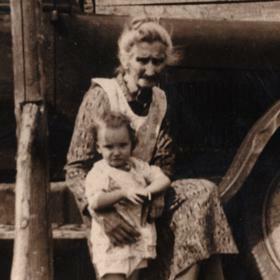 She was one of five Whittemore children as she was raised in the family home alongside her brothers, Gene, David, Raymond, and Clayton. 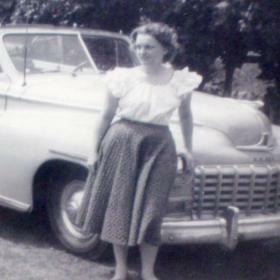 Barbara’s father worked in a local factory while her mother worked as a sewing machine operator. The bulk of her formative years were spent in Grand Rapids. 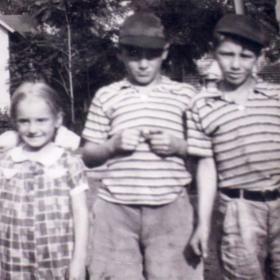 Barb helped with the chickens, had a pet dog, and also enjoyed playing with her brothers. She took great pride in her porcelain doll. From the time she was a young girl, Barb deeply loved her family. She was very close with her brothers, and the holidays were spent with her parents. They were all a close knit family, and they regularly played and sang songs with different instruments. They also danced at times. Barb attended Godwin High School, but she left after the 10th grade since she had to work to help the family. There was never anything of greater importance to Barb than her family. 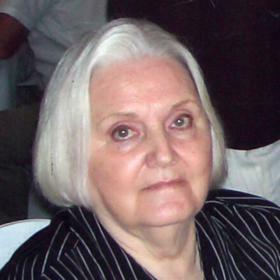 She was blessed with three children including Tobey in 1954, Scott in 1957, and Molly in 1961. Later, Barb met the love of her life, Ron Rothley, who lived two doors down. He was going through a divorce at the time. Ron worked at the United States Post Office while Barb was working at Fisher Body GM. They soon found themselves deeply in love, and they dated for about six months. Eager to build a new life together, Barb and Ron were married on August 28, 1965. They didn’t take a honeymoon but were excited to settled into a home at 142 Murray Street, SW. Together they welcomed two more children, Todd on February 4, 1968, and Aaron on February 1, 1970, into their hearts and home. Barb, Ron, and all their children were blended together seamlessly. As a mother, Barb was very loving, but she could also hand out the discipline when needed. There were always plenty of hugs and kisses at night before bed, and Barb was very concerned with the safety of her children at all times. A woman of sound moral principles, she also made a point of teaching her children right from wrong. Although she had so many different personalities in her family, Barb always knew just how to keep everyone happy. Throughout her life Barb was one to keep busy. She was a woman of many talents who could paint beautifully freehand. However, her family and friends would say that Barb’s most amazing talent was her cooking as everything she made was fantastic. Everything she made was always from scratch, and although her specialties are far to numerous to list her pot roast, baked spaghetti, breads, and numerous desserts. Barb loved country western music as well as Elvis, Kenny Rogers, and Dottie West. She used to spend hours listening to music on the record player. Barb did some traveling and enjoyed visiting Nashville and taking cruises to Mexico. She liked eating out, and among her favorite restaurants were Applebees, New Beginnings, and Brann’s Steakhouse. Fun-loving, genuine, and gracious, Barbara Rothley was truly amazing. She was classy in what she wore and how she kept her home, and she was accepting of everyone she met. A loving wife and devoted mother, Barb treasured her husband, children, and grandchildren. Although she accomplished so much of which to be proud, she was a humble woman who thought of others first and foremost. With a door that always welcomed others, Barb blessed everyone in such a tangible way. She will never be forgotten. ROTHLEY, Barbara J. 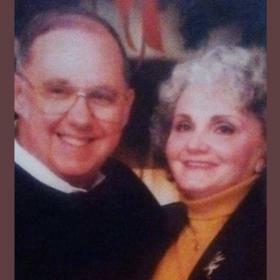 Grand Rapids, MI Age 83, passed away February 8, 2018. Barb was born October 10, 1934 in Grand Rapids to the late Floyd and Gudren (Sorensen) Whittemore. She was also preceded in death by her brothers, Gene, David & Raymond Whittemore; and son-in-law, Timm Roelofs. Barb is survived by her husband of 52 years, Ronald; children, Tobey Halsten of Muskegon, Scott (Deb) Daniels of Delton, Molly Roelofs of Wyoming, Todd Rothley of Wyoming, Aaron Rothley of Byron Center; 10 grandchildren; 14 great grandchildren; brother, Clayton (Sharon) Van Amburgh of Lowell; and many nieces & nephews. Barb will be remembered as an amazing cook and for her love for family and crocheting. Friends may visit with her family on Sunday, February 11, from 2-5 PM at Heritage Life Story Funeral Homes, 2120 Lake Michigan Drive NW. A private funeral service will take place. Interment will be in Rosedale Memorial Park. Memorials may be made to Spectrum Health Hospice. Please leave a memory or condolence at www.lifestorynet.com.